A great article below posting about technology advances and Oxygen. On to the topic of the moment, a new smart app device developed at the University of British Columbia in Vancouver, Canada. But first a little background. Ever heard of a pulse oximeter? If familiar with hospitalizations then you probably have seen one in action. If not then think of the movie ET, and the alien’s glowing finger and maybe that will strike a chord with your. When ET’s finger pulsed red it was a sign that he was alive and well. Steven Spielberg probably got the idea for this from seeing pulse oximeters at work. With my daughter’s heart disease I became very familiar with this important indicator of wellness. Pulse oximeters measure oxygen saturation in the blood. They do this by taking advantage of the light absorptive capability of hemoglobin. When attached to a finger the device tracks blood from each pulse or heartbeat as it passes by the light sensor. A pulse oximeter houses an infrared and red light generator, a light detector and a microprocessor. The greater amount of infrared light absorbed by the light detector the higher the oxygen saturation reading. On room air a reading in the high 90s is most desirable. Lower readings indicate compromised airways, pneumonia, heart disease and many other medical conditions one of which is preeclampsia, a condition that causes high blood pressure during pregnancy and often can lead to death for the mother and infant if not detected early. Pulse oximeters are readily available in Developed World hospitals but not so much in the Developing World. Hence a group of scientists at the University of British Columbia came up with an alternative. With funding from the Canadian government and private investors they developed what they are calling the Phone Oximeter, a $40 device that takes pulse oximetry out of the hospital and makes medical-grade diagnostics possible anywhere. 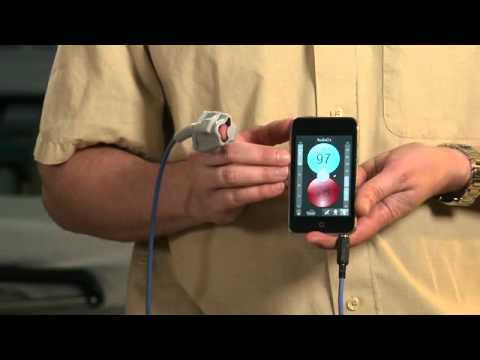 A standard medical sensor connects to the audio port of virtually any mobile device. It can be used with tablets, laptops and smartphones. With preeclampsia killing 76,000 pregnant woman every year and more than 500,000 unborn or newborn children, and with 99% of these deaths occurring in the Developing World the Phone Oximeter is about to begin medical trials targeting 80,000 pregnant women in India, Pakistan, Mozambique and Nigeria. In a country as diverse and complex as India, it is not surprising to find that people here reflect the rich glories of the past, the culture, traditions and values relative to geographic locations and the numerous distinctive manners, habits and food that will always remain truly Indian. Oxygen Worldwide can help you see incredible India and be reassured with our FREE back up service available to all our customers. Thinking about traveling to incredible India? Contact us today here or tweet us for info or post on our facebook wall!